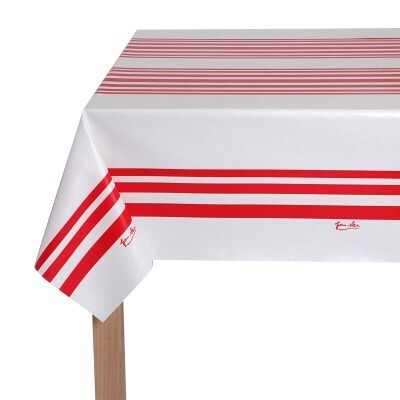 Discover the range of Jean-Vier table linen with collections of 100% cotton, PVC coated oil-cloths. 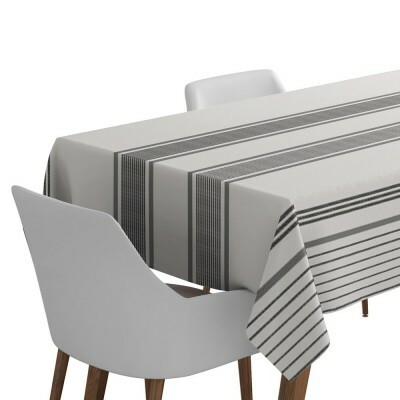 Forget choosing between the practical aspects of an oil –cloth and the more esthetic tablecloth – today the coated cotton oil-cloth has become a must-have in table decoration. 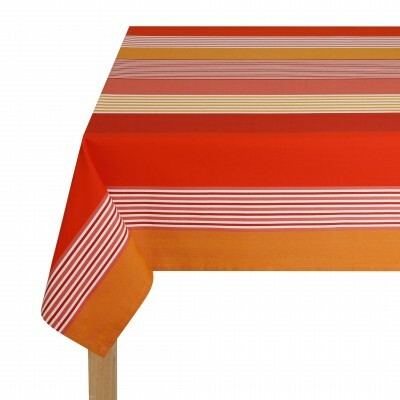 The Jean-Vier oil-cloth remains stylish while making your life easier. 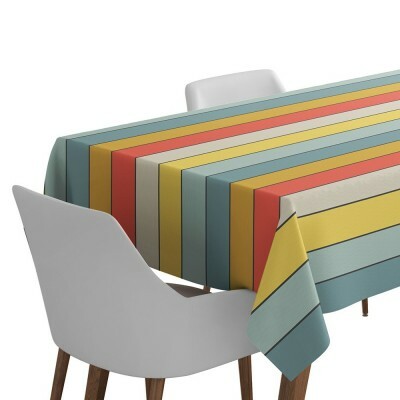 Stylish and bold in a range of contemporary colours and stripes, the Jean-Vier Basque oil-cloth is easy to maintain thanks to its waterproof, stain- and shock-resistant aspects. 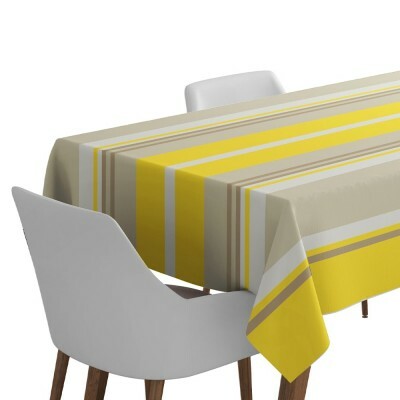 Simply choose your fabric, colour and dimensions and we will make your coated cotton tablecloth to measure. 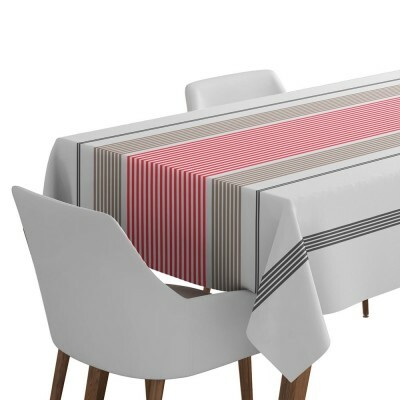 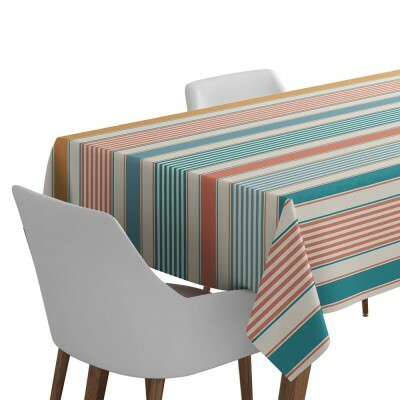 Style trend: go for bold stripes to highlight your interior decoration and select bright, eye-catching colours for outdoor dining. 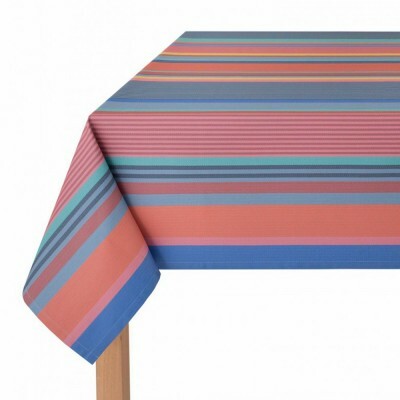 Choose Jean-Vier made-to-measure Basque oil-cloth.